Congratulations! Your wedding is over, now you are ready to live out the happily ever after. But before you settle down and embark on this much-awaited journey, there are a few things that you need to take care of. To your post-wedding to-do list, add the following seven items to ensure you miss nothing. Whether you went all out on your wedding gown or had a low budget gown, you will want to keep it in great condition. To do this, you should get a professional to do the cleaning for you. Inform your cleaner of the chemicals he/she can and cannot use and afterward have a preservationist work on your gown. Ideally, you will receive the gown in a sealed package. Be sure to store it in a dark, dry and cool place. You couldn’t have done it all alone. Family and friends played a significant role in making your wedding a wonderful happening. As such, it is critical that you send them all thank-you cards to express your appreciation. Make sure to add a personal touch to each of them, so it has the desired impact. It might not seem as much, but a little appreciation goes a long way. If you found your vendors online, chances are you used previous customer reviews to make your decision. As such, it is your obligation to add to the reviews. Brides and bridegrooms who come after you will use the review you leave as their yardstick. If they did a good job, leave them glowing reviews – it will be good for their business. It is a subtle and indirect way to express your gratitude. If you are taking his last name, be advised there is more to it than making tweaks on your social media accounts. There are legalities involved. You will require your marriage license with the desired last name. You will also need to make changes to the driver’s license, social security card and bank accounts – basically, everything that features your legal name. Wedding registries are designed to help couples get a specific number of items that they need. However, rarely do they work out as planned. Chances are you ended up with some multiple items and some that you didn’t need in the first place. Contact the stores and work on exchanges and discounts on items. If you had created a site to spread the word for your wedding, it’s time to bring it down, especially if there are costs involved for the hosting. Also, remove your gift registry from all stores you had partnered with but only if you are sure your friends and relatives will not need to use them. If you had some DIY project for your wedding, chances are you have some left over materials. Now instead of throwing them away or letting them get forgotten in the storage, find some use for them in your new home, ask any of your newly engaged friends to take them off your hands, or post them on some facebook wedding-prep groups, where you can sell or donate them to other couples. 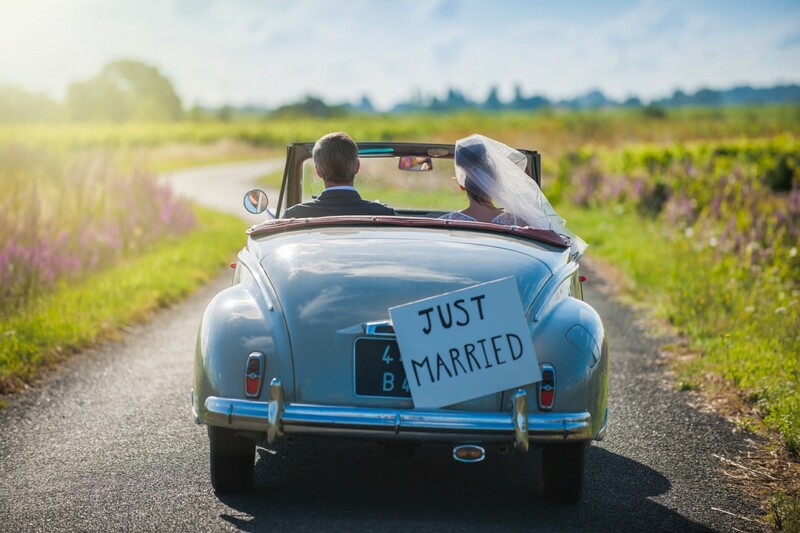 For the past months, most of your life revolved around the wedding and now that it’s over, have the above tasks crossed off from your list first, so you can truly enjoy everything married life will bring to you!